Kristen of Antique Roses sells roses rooted from roses growing in her own gardens. She believes that anyone can grow roses, and she only grows roses that can withstand a bit of neglect. Perfect for someone like me that loves to garden but gets a little...forgetful...at times. Tell me about how you originally got into your craft, Kristen. I have always adored roses. Even as a child I was amazed at the variety in colors, shapes and scents that one kind of plant could produce. 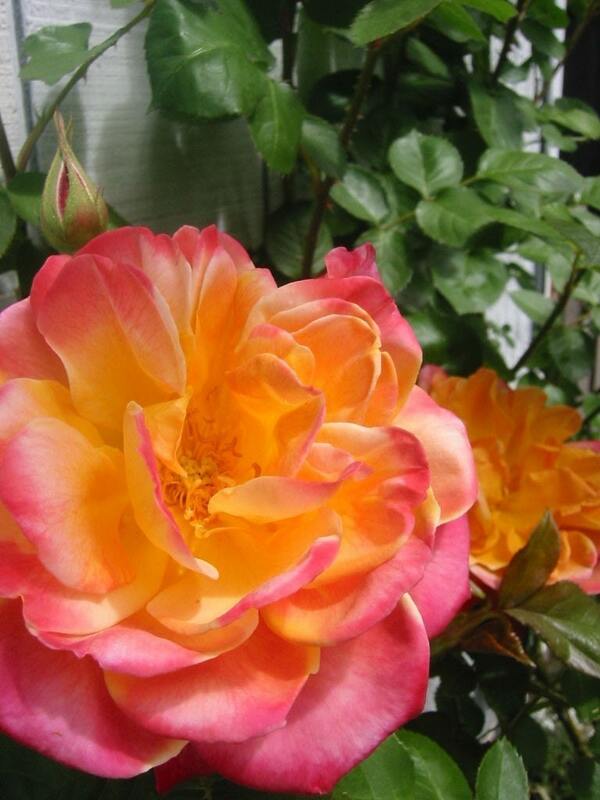 When I bought my home, it was with the idea that I would be able to plant as many roses as I wanted to. One day while I was browsing through some online nurseries I came across an article on how to root your own roses. I was intrigued. Through much trial and error I managed to root a few roses to share with friends. They suggested I sell them, and here we are. By far my most favoritest thing in the whole world is cuddling with my kids. I have three, 6, 5, & 3. I am trying to cherish every minute because I know they're not going to want to cuddle for much longer! Another favorite is an hour in the garden. Doesn't matter if I'm smashing little green bugs, pulling up clover, or just sitting taking in all the scents of the roses. There is just something completely serene about time in the garden. Very relaxing and refreshing. One of the biggest challenges is selling plants on esty. Most people don't realize that plants are sold on etsy. Or, they don't believe that growing plants can be hand crafted. Believe me, I put in just as much time, energy and creativity in my roses as I do when I sew and quilt. I started my shop last fall and have had a good response this spring. Another challenge is limited inventory. I take cuttings in the spring and fall, and when I sell out of a variety, I'm out. It's hard to guess which roses people are going to want and how many cuttings to start. I have limited space, so I have to limit the number of cuttings I take, limiting the amount of inventory I have. Hmm...well...my favorite rose that is in my shop currently is a purpley-crimson and cream striped bourbon rose called Variegata di Bologna. It only blooms once in the spring, but wow, it's a knock-out. The shrub is covered with gobs of heavenly scented blooms in amazing colors. As I look out my window, I can see the bright green buds just waiting for a week of sunshine to burst into flowers. I wanted to be a lawyer and a mommy. When I was about 16 I did the math and realized that if I did all the schooling need to be a laywer, I wouldn't start to having babies until I was in my 30's. I wanted three kids, and I wanted to be done before I was 30, so I nixed the whole lawyer thing. Best thing I ever did. I never imagined that I would be completely happy caring for my kids and growing roses. Who knew! I truly hope that I am able to grow my esty business to a point where I don't need to find work outside of my home. Currently I'm continuing my education. I'm aiming for a BS in liberal arts (writing and history). That should finish in about 2 years, the same time my youngest will be starting kindergarten. At that point, my goal is to have my roses bringing in as much as a part time job would be. In a dream world, I would be able to buy the old empty nursery on Main Street and create a local nursery just for rose lovers.